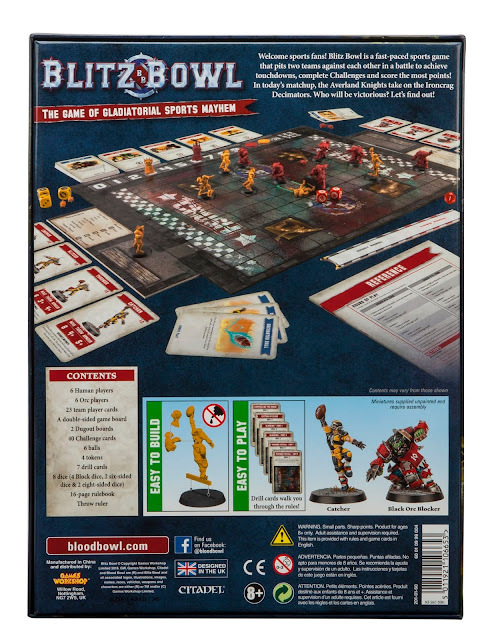 Back in March, Games Workshop announced an introductory game named Blitz Bowl, using many of the Blood Bowl rules and models. 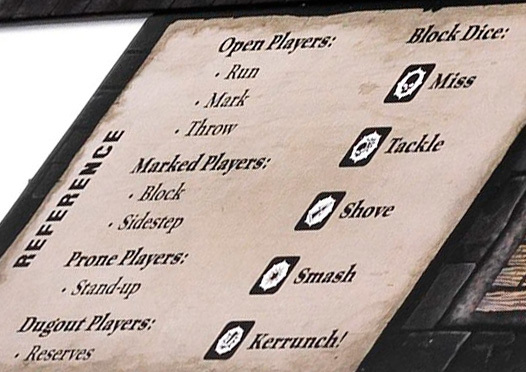 Recently, additional pictures have been spoiled, providing a view into the rules, the dice, and some of the gameplay. Based on the new photos, it appears that the game is more than just Blood Bowl on a smaller scale. The actions are different and the block dice results are slightly different as well. There are Challenge cards and Bonus Play cards which appear to bring in objective-type goals into the game. I'm excited to see what additional photos and previews are shown as the game gets closer to release. Likely around $40-$50 retail, cheaper with the standard 20% discount. The real question is how extensible it is - will they release rules/card packs for other teams? 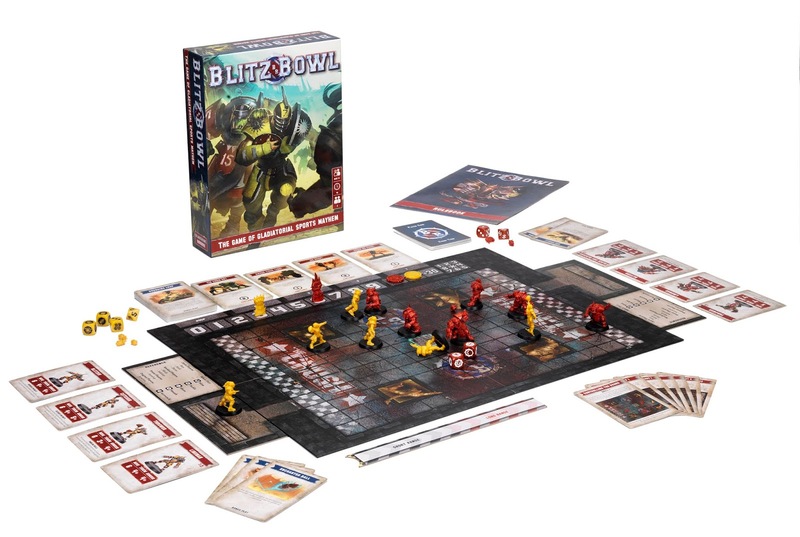 If so, I think it becomes a real contender for a regular game night tournament-style league. Especially if the gameplay is under an hour. The problem with the full BB is that it can be a two to three hour investment.